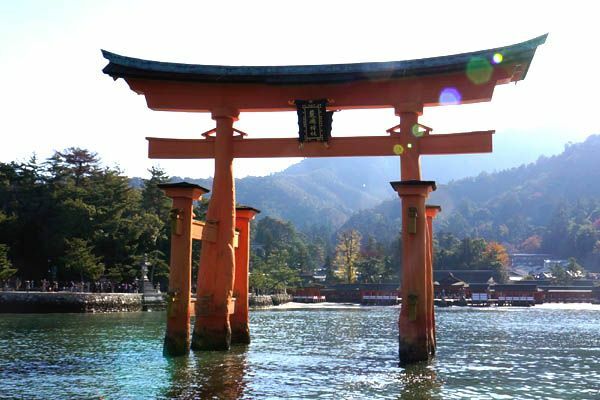 We are very sorry to announce that the Miyajima O-torii Route is no longer offering its service from the end of March 2018. From the bottom of our hearts, we appreciate you for using our services for the past four years. Moreover, we will offer special services for passengers who already made a reservation and during busy season. We ask for your kind understanding and continuous support. Information of our service and vacant seats. During busy season,we occasionally operate temporary ship. What's a worship on the sea? In Heian period, the way of worship was different from now.The way of formal worship was passing under O-torii and going and worship at a shrine on the sea. So Miyajima O-torii Route have a time for worship on the sea and passing under O-torii.This way is like Heian period.